Boulder, Colorado. 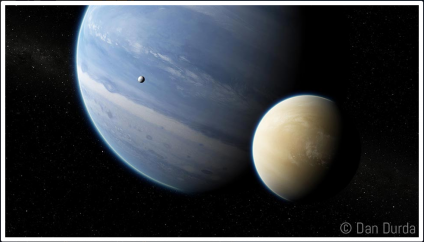 July 30, 2014 — Boulder-based Uwingu applauds a recent decision by the International Astronomical Union (IAU) to open the naming of exoplanets to the public, as Uwingu did last year. “It’s been 18 months since Uwingu has been letting people nominate names for exoplanets. We’re glad the IAU is finally coming aboard too,” said Uwingu astronomer Dr. Henry Throop. He cautioned, however, that the IAU’s naming process may not go far enough. “Their year-long process will name about 1% of the confirmed exoplanets, but there are thousands more exoplanets that remain nameless,” said Throop. Uwingu is a company consisting of a growing team of space scientists, educators, NASA veterans, and prominent business people who are passionate about space exploration and education. Uwingu generates funds for grants via the public engagement projects at its web site. The public can participate in projects like Uwingu’s exoplanet name nominations or Uwingu’s Mars Map Crater Naming Project that allows anyone to help name the approximately 590,000 unnamed, scientifically cataloged craters on Mars. The Uwingu Fund generated has awarded 20 grants totaling over $100,000 just since March.